Sometimes I very much wish I was writing something else. I wish it was lighter, gentler. I wish it made me feel peaceful to have these voices in my head. I’ve been reading a book lately that has a decidedly sad tone, but somehow it renews my romance with the world. My book is not like that. My book is a journey, and that journey begins in darkness. And that darkness is overwhelming. I’ve been thinking about this struggle, this inherent desire to be in someone else’s process, to feel what they feel when they write something lighter. I read a lot of YA, and the trend in young adult fiction is to be a angst-ridden, to create a dystopian world, or to talk about teenage sexuality. When I set out to write my book, there was no choice in doing YA. The book just happened that way. The idea, the voice that came out, it was more for the teens than the adults. Not that adults won’t like it. All my early readers are adults. A lot of adults swoon for YA. But it wasn’t my goal to write YA, it was an accident. So, I think what I’m trying to say is, you must accept that you will write what you write. You can’t change that. I don’t mean we write what we know. Jo March did, and it worked for her. I mean we write what comes out, we commit to a work of fiction because it exists within us and it needs to get out. It’s not always a journey we understand, but most of the time, it’s still the search of our own life. It’s the good and bad of us, or of us in our current state. Be OK with your work, whatever it is. Let it grow in you. It may not be literary fiction. It may be a summer romance read. It may be a crime drama. It may be the next Harry Potter. (There will be a next one, someday, when the world is hungry enough for it.) What you write has a purpose, and on some level, for someone, it will be exactly what they need. Acceptance is the first step to writing…or recovery…or dieting. 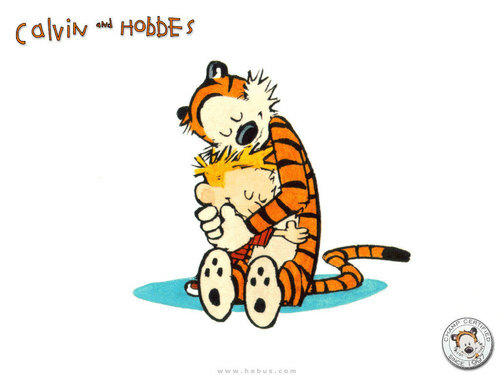 Let it nestle you in a warm, gut-squeezing, cartoon style hug. Beautiful insight. I do so enjoy reading your blog. Thank you, Tonia. I do so enjoy that you enjoy them. Big smiles.